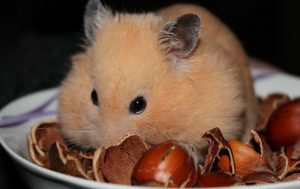 We all know that our adorable hamster friend should have a balanced and healthy diet in order to grow happy and healthy, but what does a healthy diet include is something most of us might not know. We know that they can eat a variety of foods, but can hamsters eat meat? 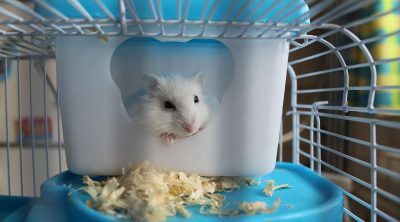 Is meat a viable option for a daily hamster diet? Sometimes we can give our hamsters foods that they’re not supposed to eat without having any issues on the short term. But on the long term, our fellow pets might develop some troubles and illnesses. So let’s find out if meat is something we should give to our hamsters or not. Meat is a food that’s omnipresent in most our human diets and those of our non-human furry friends, so it might sound like a good idea to feed meat to anything that moves. But that’s not always the case. 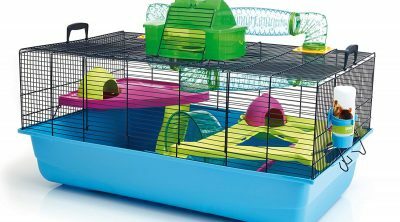 Hamsters in particular, are omnivorous creatures, so they are able to eat almost anything, but with certain precautions. 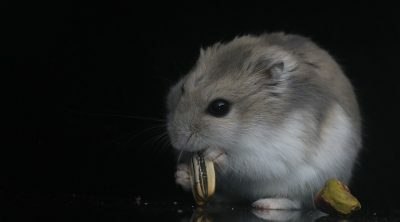 Meat is one of those foods that hamsters can eat, but that doesn’t always mean they should. 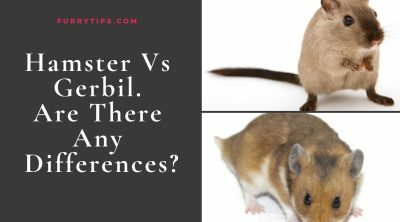 If you think about it, from a natural and evolutionary point of view, hamsters are not the biggest hunters. They’re not the ones chasing other small animals, but on the contrary, they’ll be most likely the prey of other larger creatures. The point is that it might not be a good idea to feed your hamster pork meat, as he wasn’t equipped to digest pork. 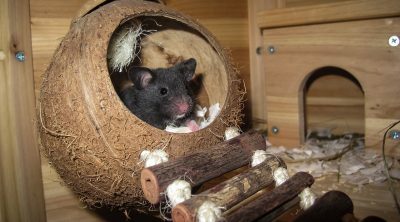 A hamster’s diet into the wild includes crickets, insects and mealworms, so if you can, you should stick to something similar with your pet hamster too. Meat contains a lot of proteins, which are an important part of a balanced hamster diet. In terms of which type of meat a hamster should have, there is a big debate on pork, with some people advising against it. There are no clear answers, but it’s safer to avoid it. 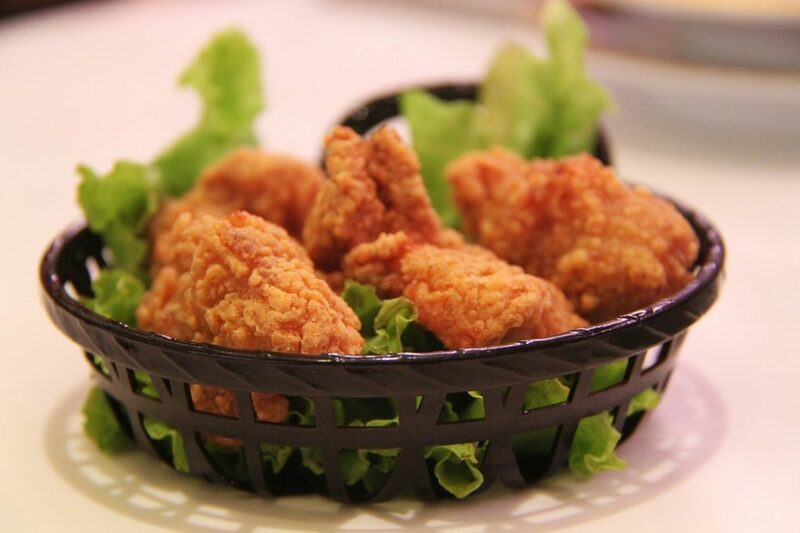 There are better alternatives to pork meat and those are beef and cooked chicken and even canned dog food. Also, if feeding your hamster meat cooked at home, make sure that the meat is cooked thoroughly and doesn’t contain spices of any kind. 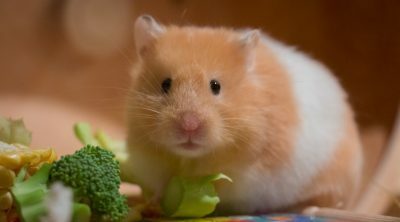 Always remember that a hamster’s diet into the wild won’t include chicken or any other big animal meat, so make sure you stick to small amounts of cooked meat every now and then, balanced of course with a lot of fresh fruits and vegetables that are ok to feed to hamsters. Your little hamster friend most probably won’t say no to meat if offered, but too much of it is bound to cause harm on the long term, so be careful with his diet.